Recent studies have shown that dental calculus from archaeological samples could be a rich source for understanding the dental health of our ancestors. 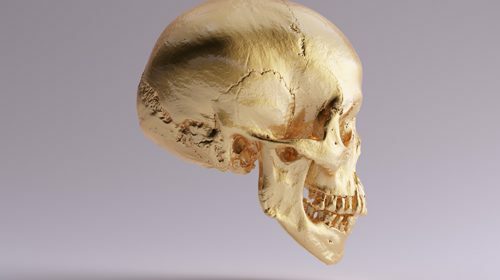 A new study of the calculus of human remains buried in Denmark has shed light on the oral microbiomes of groups of medieval people in the area. A University of Copenhagen team sampled calculus from the remains of 21 humans buried circa 1100-1450 CE in the medieval cemetery of the village Tjærby. Some 3,671 proteins from 220 different protein groups were identified from the calculus, with approximately 85-95% produced by bacteria from the oral microbiome. Although all of the samples showed traces of bacteria associated with periodontal disease and dental caries, the team was able to divide the samples into two groups: one that was more susceptible to oral disease; and, one that appeared more resistant. In the latter group, there was just one case of periodontitis, whereas seven members of the former group displayed signs of severe tooth decay. Since the two groups more than likely had similar diets and oral health habits, the difference is likely to be attributed to differences in proteins. The calculus samples that were used were found to be far more heterogeneous than samples gathered from modern Danish individuals. The study’s authors argued that the increased diversity of modern diets, combined with environmental and lifestyle factors and other issues were likely to be the main causes of the variety in modern oral microbiomes.